It will soon be a fresh new year. As I write this, 2019 is a mere 2hrs away! I’ve watched many people complain about how terrible 2018 was for them. Usually, the year passes me in a blur, but this time I have managed to reflect. 2018 was the year I lost my beloved Grandfather. It was the year I suffered a breakdown, and the year I’ve had to step down from a job I loved due to mental health. Completing my crystal healing course. Spend more time working in the garden. Meet up with friends more often. There are many other things I would like to add to my ”to-do for 2019” list, but better to focus the above as to avoid being overwhelmed! May you have warm words on a cold evening, a full moon on a dark night, and a smooth road all the way to your door, and all the best for 2019. Have been meaning to take up this blog at the start of 2016, but it’s half way through January now and I’ve only just decided to post something. Today is particularly cold. -1c outside. And seeing as 2015 was quite mild in terms of the weatherly temperatures, this has come as a bit of a shock! Not completely unwelcome shock though, as I do believe ice and snow are good at killing off germs and viruses..
Usually where I live, when it’s icy, you get a nice picturesque look at the hills sprinkled with (what looks like) frosted icing! Today though I didn’t have that pleasure, as the hills have hidden behind a thick veil of mist, otherwise I’d have grabbed a photo! Never mind! 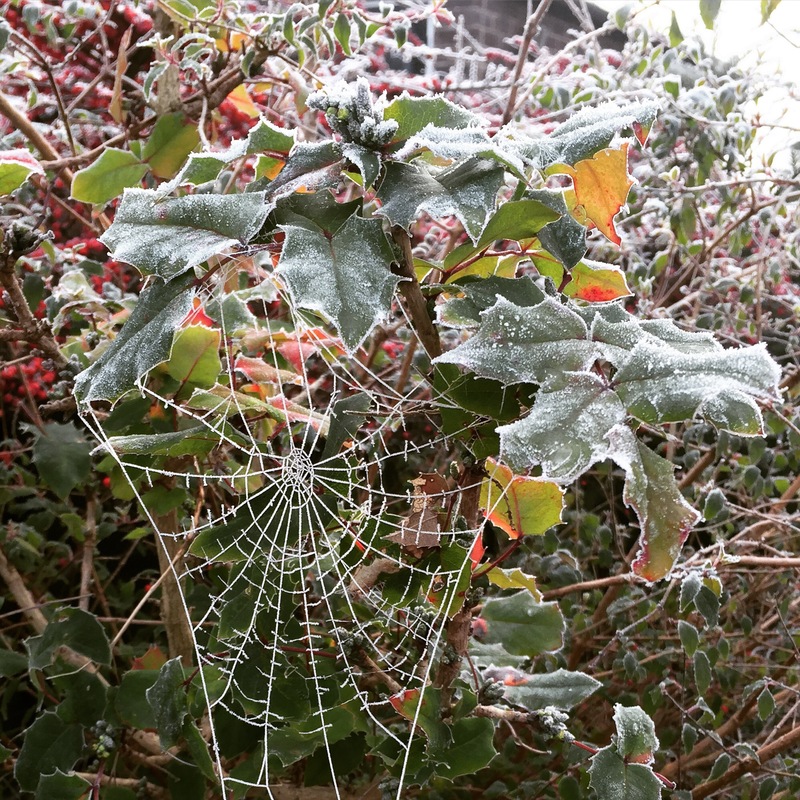 As something that always gets me awestruck is frozen spiderwebs! And lucky for me they’re all over the place! But here’s to getting home from work to a nice hot brew!